Feel free to contact us direct by calling one of the numbers listed below, or send us an e-mail. A Synergy Automation professional will return your request promptly. Use this online form to contact us anytime. An Account Manager will respond promptly. Note: Fields with asterisks are required for us to contact you. Are you a current Synergy Automation Customer? Do You have a current temperature control system installed? 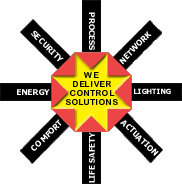 Do you or your facility purchase control parts and supplies? Please tell us how we may be of assistance. Thank you for your interest in Synergy Automation.